PROGIRA manager Launch Party at the IBC! A Huge Thank You to all who have celebrated the launch of PROGIRA manager – the ultimate spectrum management system – at IBC with us at the launch party. It has been great catching up with everyone over a glass of Catalan wine or (for many of us and) Russian vodka with Swedish bread, Swedish cheese, and Swedish reindeer meats! Mats, our Technical Director introduced, PROGIRA manager, a spectrum management system which aims to make the complex job of managing spectrum easy. 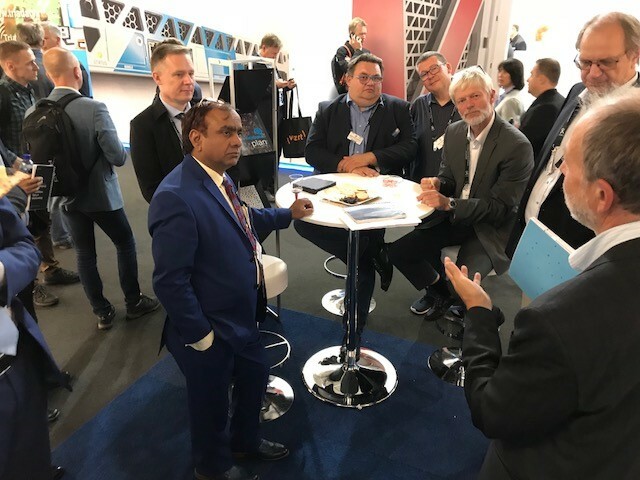 PROGIRA has been able to leverage from the technology, as well as our years of expertise in broadcast network planning in the innovation of PROGIRA manager. 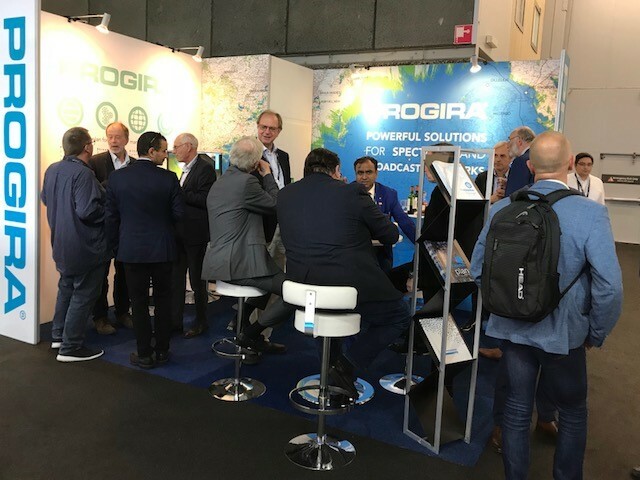 Mats also explained that with the addition of PROGIRA manager, PROGIRA could offer our clients a more comprehensive range of solutions for their broadcast networks and spectrum. Some of us were able to catch PROGIRA manager live in action! To all who have attended our party, it has been great meeting you! We certainly hope to see you again next year at IBC. Missed the show? Want a demo? Fill up your details below and hit submit! 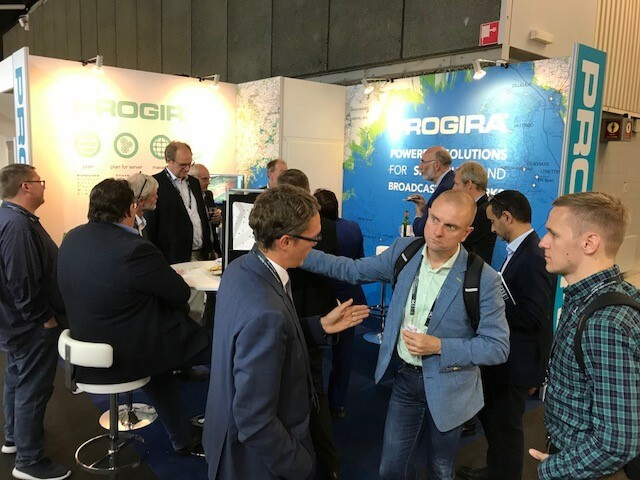 News > PROGIRA manager Launch Party at the IBC!